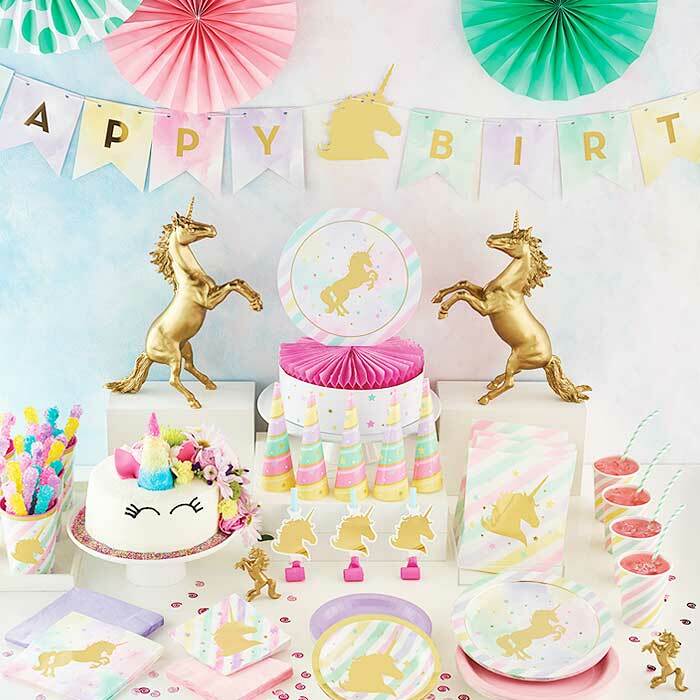 A fantastic birthday with the mystical, mythical unicorn spreads happiness and joy on our Unicorn Sparkle party lineup. The foil-stamped golden creatures shine on a pastel rainbow background for a fun birthday fantasy. The collection includes invitations, decorations and favors, and there are even rainbow-colored props for photo fun. Add accents from our solid color tableware in pink and lavender for the perfect finishing touches. Unicorn Sparkle Plastic Tablecover 54"x 102"